If you’re planning to travel outside of the United States, schedule a pre-travel consultation at Advanced Infectious Disease Medical in Hoboken, New Jersey. Avisheh Forouzesh, MD, offers advice on how to avoid preventable travel-related diseases, as well as antimalarial prophylaxis medications and necessary vaccinations to protect you from various diseases such as Hepatitis A, Hepatitis B, typhoid, tetanus, and others. Learn more about travel medicine by calling the Hoboken office directly or booking an appointment online. Why do I need travel vaccinations? You also need to be up-to-date on routine vaccinations for diseases, such as rubella, mumps, chickenpox, and tetanus. Getting certain vaccinations before traveling to endemic regions of the world is advised to help protect you against contracting certain preventable diseases as well as helping to protect your family and community against the spread of contagious diseases. The vaccinations you need before your trip depend on where you’re traveling. In some cases, certain vaccinations are a requirement before you can enter a country and you need to carry proof of these vaccinations as part of your travel documentation. Dr. Forouzesh can determine which vaccinations you need based on your travel plans, your overall health, your age, and the vaccinations you’ve already had. In some cases, you may need to have repeat vaccinations to keep you healthy. 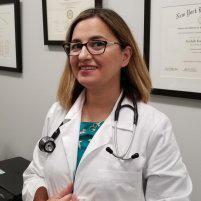 Be sure to provide Dr. Forouzesh with a complete medical history that includes your vaccination history, as well as your travel itinerary, so she can ensure you have the vaccination protection you need. When should I schedule travel vaccinations? Dr. Forouzesh recommends scheduling necessary vaccinations at least 4-6 weeks ahead of your trip. This allows time for you to get the necessary number of doses in before your trip. It also ensures the vaccinations have time to start protecting you from illness. It’s also a good idea to schedule vaccinations early enough so that in the event you experience any side effects, you can recover comfortably at home, rather than being disrupted on your trip. While vaccines are safe and effective at protecting your health, they can cause mild side effects, including a low-grade fever. Learn more about available travel vaccination Dr. Forouzesh offers by calling the office in Hoboken, New Jersy, directly or booking a consultation online.